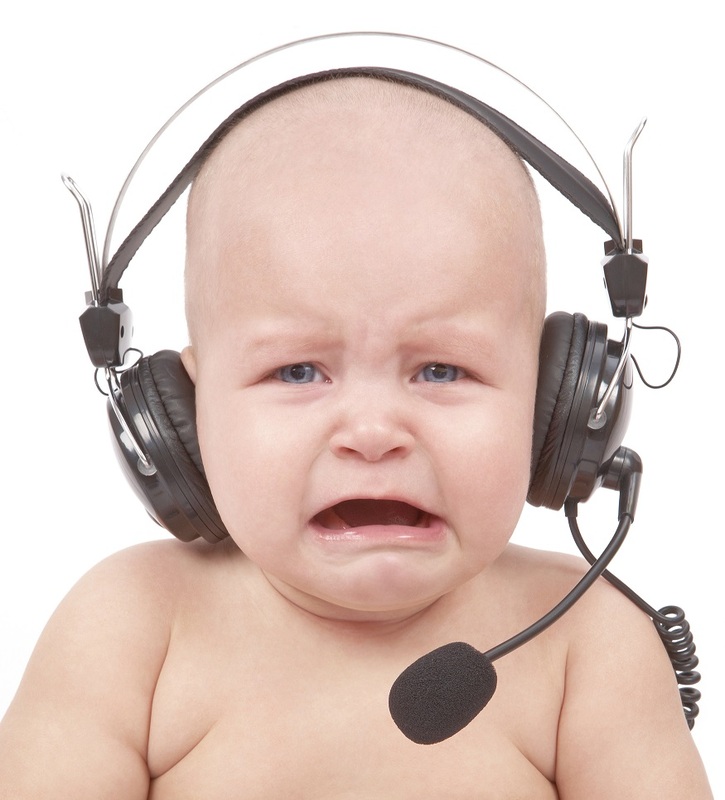 We are currently experiencing phone difficulties today - please leave a message or send us an email to orders@babyboxes.com.au and we can call you straight back. Thank you! Please feel free to email any questions to info@babyboxes.com.au emails are replied to very quickly. If you need some inspirations or ideas for a baby shower gift or you're just not sure what would suit your particular situation, we'll be more than happy to help! Deliver to Hospital or Home? There's no better way to welcome a newborn baby, than by sending a baby gift to a new mum & dad using Baby Boxes Sydney! Although we are based in \sydney we still deliver baby boxes straight to hospital or homes in Melbourne, Queensland, SA & Perth - in fact we deliver all over Australia for $9.99 We even send your new baby gift to new mums & dads overseas! Should I have my baby box sent to hospital or home? We are asked this question a lot by our customers. Most people would like to send their baby gift straight to hospital as soon as possible. When ..
Now that the Australian summer months are finally here, its time for baby to shred those fluffy onesies! The best fabric for babies in summer is cotton - its light, it breathes and its comfy too. Thats why in our baby gift boxes we use organic cotton fabrics for our gorgeous baby boxershorts (sooo cute) and little vests - perfect for sunny days. We like to include muslin cotton wraps in our baby hampers and gifts for summer time as the fabric breathes better and is cooler than our winter organic jersey cotton (which is great in the colder weather). Babies in summer look their cu..
Big Sis & Big Bro back by popular demand! Due to such popular demand, we are increasing our Big Sis and Big Bro Toddler range. Currently we have just a few options for big sisters & big brothers in our siblings gifts range such as our very sweet Toddler Pack which comes with either a Big Bro or Big Sis printed tee & soft toy. Along with the excitment of the arrival of a new bub, also comes the wide range of mixed emotions for the older sibling's. (just ask our eldest children!) They can often feel quite out of sorts when mum is showing off all the new clothes and gifts that the new baby receives. Our toddler gift pack..
What do I write on the message card? Here at Babyboxes we get asked all the time...."what do people say on the gift cards? Well, "Congratulations!" is always a good place to start. There are lots of other special occasions our beautiful baby gift hampers celebrate too, like: New Baby, Christening or Baptism, Baby Shower, Maternity Leave, Mothers Day and Fathers Day, My First Easter, Merry Christmas just to name a few. Remember to mention the occasion, so the lucky recipient knows you have really taken the time to think of them at this special time. There is nothing more exciting than welcoming the arrival of a newborn.. Newborn baby basket gifts will surely delight the parents. It’s one of the perfect ways to celebrate a birth and make the occasion a truly special one. During a baby shower, it’s time to give thanks and celebrate having a new baby. Giving gifts to the parents will clearly show that you take part in the celebration. But how do you choose the perfect gift? How to ensure that parents will be delighted? Here are a few tips to help you: 1. Take note of the mother’s recent experience Having a new baby is sure to make parents happy. However, this could also be a physically stressful journ.. Looking for a company that gets baby gift baskets delivered? Sure it’s a convenient way to buy a gift online and let them deliver it for you. This way, you save time and you can buy the gift anywhere you are (especially if you’re busy and no time to go to a store). Anyway, no matter how convenient it is, you still have to choose the ideal gift that will make the parents and the baby happy. Here are a few things you need to consider first before choosing a gift (this serves as a checklist): 1. Take note of the gender This is important. Many mistakes have been made because the giver did.. Many people who are eager to surprise their loved ones with the most adorable baby gifts are probably wondering: what are the attributes of the cutest, most desirable baby accessories? In a nutshell, the bestselling items listed in this category are safe, practical, easy to use, colourful, and affordable. 3 Must-Haves That Any Family with Babies Will Appreciate Here are three of the most amazing and popular baby gift products commercialized by babyboxes.com.au. Crochet Teething Ring. In the first stage of their life, babies attempt to put many things in their mouths. When teething, t.. When people hear that one of their dearest friends, co-workers, or family members is going to have a baby, they sometimes end up repeating the million-dollar question: “Is it a boy or a girl?” The problem is that many soon-to-be parents prefer not to find out the gender of their baby until birth for various reasons. Some simply want to enjoy a surprise like no other after nine whole months, while others wish to avoid the “blue or pink” stereotypes and decorating frenzy. 3 Fun Gift Ideas for Parents Who Don’t Want to Find Out the Gender of Their Babies Those who think that finding a gift..
People who are invited to a baby shower are faced with the same challenge: they are on a mission to find the most amazing gift ideas meant to put a big smile on the faces of the soon-to-be parents who are throwing the party. It’s no secret that some baby presents are not always received with a great deal of enthusiasm by future moms and dads, especially when we’re talking about odd-looking DIY clothing items and blankets, or purposeless decorative elements that don’t really match the style and theme of the nursery. The good news is that finding truly inspired baby gifts appreciated by most.. When a new baby is born, siblings can feel left out. There is much celebration surrounding a new family member, and younger children feel as if the baby takes away from their place in the group. Parents, of course, talk with their children about the growing family, showing that no matter what, every sibling is loved and valued. While additional encouragement isn’t required, sometimes extended family or friends want to let siblings of new babies know they’re still seen and celebrated. What better way to lift up older siblings by revelling in their new titles? Big brothers and sisters tend..
No one deserves to be pampered and celebrated more than new mothers. With the stress of learning to take care of a new baby, many mums relish any time they receive to relax and take care of themselves. Mother’s Day is the perfect occasion to let mums know how much they are valued. The perfect gift will allow a mum to relax, take time for herself, and enjoy something she may not have otherwise bought or done for herself. Sometimes customers don’t realise we also provide gorgeous Mothers Day hampers as well has gifts for new babies. The following are several options for gifts. There is ..
A baby’s christening! There really is something special about being present and helping your family or friend welcome their new baby into the church. It is these special events that as parents, friends, family and godparents we like to show our love and devotion to the baby. While presents and gifts are not necessary, many people do bring gifts for a christening, these are often gifts that are cherished throughout the child’s life. Here Are Some Ideas for Baby on Their Special Day! BabyBoxes have simplified the gift idea process for you, allowing you to choose from several di.. When it comes to babies, there just never seems to be too many photos. A baby is only so small for so long, and photos seem to be the perfect way to remember just how cute they were. There are no rules to how many or how often pictures are taken, but for those special photos, there is nothing cuter than a baby in an adorable outfit. BabyBoxes has the perfect little outfits for both baby boys and baby girls. Exciting Baby Outfit Ideas for an Adorable First Photo! Princess Baby Box – Gorgeous fairy bodysuit that will make your baby girl look like a fairy princess. This beautifully pa..
We all know what to say when a friend or family member finds out they’re pregnant with twins, whether it’s ‘two for the price of one!’ or ‘double trouble!’ But what do you buy for the parents of twins? Two balloons? Two bunches of flowers? Seeing Double: Two Gifts, One Box What every new parent of twins will quickly realise is that space is at a premium. They’ve already got to make room for a double-stroller, two cribs, double nappies, twice the clothes… the list goes on! That’s why gifts for twins can often be a little bit tricky to get right. You don’t want to only get ..
It’s so exciting when a new baby comes into the world, especially if the little one belongs to a friend or family member. Of course, when the new arrival makes their entrance, we all need a way to express our excitement and delight. And what better way to say “congratulations!” than with a beautiful, thoughtful, and practical baby gift? BabyBoxes have created a wonderful way to do all this, stress free! Through their online store, BabyBoxes have cut out the need for rushing around looking for gifts. Save time by choosing a gift that is useful and neatly p..
Every parent will endure it. It may even be the worst few months of their lives. From the screaming to the drooling to the sudden inability to sleep through the night, you can see why a mum would feel a little dazed. Teething babies is by far one of those motherhood moments the baby books don’t adequately prepare a mother to experience. If you have a friend or family member dealing with a teething little one, offer up your support. These baby gift ideas are perfect for helping mums through the teething months, and they even offer baby a little relief. 3 Baby Gifts For Teething Babi..
Baby gifts can quickly become repetitive -- especially when a mum-to-be finds herself with a wardrobe of ill-fitting onesies. While you could opt for the usual gifts (bottles, diapers, you get the drift), why not take it a step further and show your inventive shopping skills? Whether you bundle it up all cute and pretty or have it delivered at the hospital (our personal favourite), going that extra mile is going to make a difference. Sure, you might only get a quick “thanks,” but you can still pat yourself on the back knowing you showed up with an extraordinary personalised baby gift jus.. Your colleague or friend has just had a brand new baby; how do you celebrate? You may be thinking What to Buy for a New Mum? As much as she will love some brand new gifts for her new bundle of joy, why not treat her? After all, she did just go through nine months of carrying the baby! To celebrate the beautiful new mama, Baby Boxes Australia has many presents that will be perfect for any new mum! The ‘Just for Mama’ Gift Box The Just for Mama Gift box has everything you need to surprise a new mum! Included in the gift wrapped box is a selection of treats to pamper the new mother. A ..
Has one of your colleagues or employers recently had a new baby join their home? Even if you are not that close with the colleague, surprising your colleague with a new baby box for their little bundle of joy is a great way to earn extra points in the office. Don't know what to buy a colleague? We put together a list of a few ideas that would be appropriate for a baby gift in Sydney! Plus, all gift boxes can be delivered in the Sydney area. · Classic Baby Box Looking for a more wallet-friendly way to give congratulations to the new par..